Good musicianship and well constructed songs make for a decent album. There was a certain irony that I first listened to this CD right after a run through of the new Arena album because I was struck by certain similarities between the two outfits in terms of song structures, although Xanadu are certainly heavier in approach. Subsequent plays also brought the likes of fellow Poles, Riverside and Believe to mind along with touches of Sieges Even, Threshold and Subsignal. 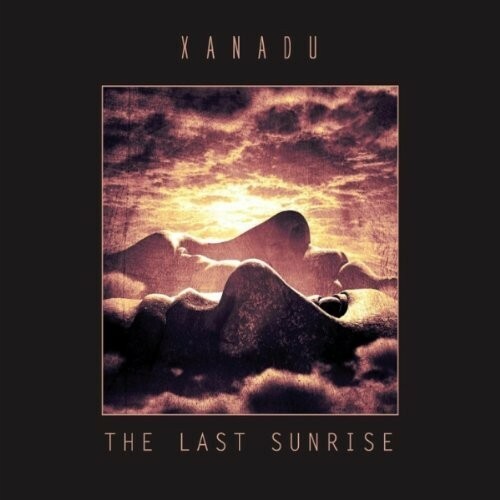 From that illustrious list you’ll detect that Xanadu are in good company. Formed in 2008 the band features Michał Jarski (vocals), Przemek Betański (guitar), Janusz Glon (guitar), Adam Biskup (bass) and Hubert Murawski (drums) these being supplemented by three guests, predominantly for keyboard contributions. It has to be said that Jarski possesses an accented vocal that some might find obtrusive; I’m usually the first get annoyed with such things, but here it seems to fit rather well. The album consists of seven tracks with the opener, ‘Piece of Mind’ charging at you in a Prog Metal style with some lovely bass on the relatively laid back verses, while the chorus and bridge have a Dream Theater feel. ‘Dark Shadows’ has a fine arrangement, from bombastic opening into a quieter section where the piano flourishes are a delight, then back into the heavier style and so it continues. The guitar solo is restrained and wonderfully melodic while ‘Miles Away’ opens with a splendidly languid melody before building in power. The guitar refrain is terrific and the use of a spoken section puts me in mind of Queensrÿche; once more the guitar solo is tuneful rather than flashy. The track may be short, but it is certainly sweet. By contrast ‘Violent Dream part1’ is a lengthy instrumental track (just over 10 minutes) with certain Rush-like qualities, not least that it never overstays its welcome by remaining melodic and tuneful throughout with some nice synth sections punctuating proceedings. It moves through a number of different tempos and styles which are juxtaposed extremely well. ‘One Moment’ moves initially into Believe territory before building to something more akin to Riverside. The melody seems to get rather lost in the middle of the track, which is a shame as it’s topped & tailed rather nicely. ‘Vicious Circle’ has a pleasing riff and romps along in fine fashion while closing track, ‘The Last Sunset’ features the vocals of Paulina Tomaszewska, albeit in a supporting capacity, which provides a nice variation. The song has a wonderful piano motif and an interesting drum pattern to lead a delightful swaying melody. More well observed guitar work is the order of the day, even if the refrain is repeated a little too often. The closing section is decidedly Riverside in nature with the bass laying down a repeated pattern as the guitar plays over the top. Overall this should be a welcome addition to anyone’s collection even if it doesn’t break any new ground. Good musicianship and well constructed songs make for a decent album.